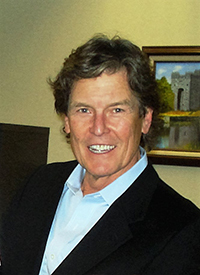 David Sparks is a marketing trailblazer and pioneer who constantly challenges the status quo. He has extensive management experience and a proven record of accomplishment in strategic planning, business development, new product implementation and digital and traditional multi-channel marketing. The end result has been unparalleled success for the clients and companies he has worked for. He quickly earned recognition among the ranks of senior management at some of New York City’s most notable ad agencies as a new business leader and strategist. Servicing the likes of Noxell/P&G, Johnson & Johnson, Pepsi, Dow Chemical, AT&T and Frito Lay, his particular skill at integrating marketing plans into overall business strategy, consistently resulted in profitable growth and increased market share for his clients. He jumped the fence to client side to become EVP of marketing and sales at MCA/Universal, followed by almost 5 years as Global CMO for Budget Rent a Car. The allure of the agency business beckoned him back. David spent over a decade as EVP/Partner/Director Client Service at one of Chicago’s best known marketing service agencies where he headed up the strategic consulting practice in CPG, Travel, Telecommunication and Financial Services. He started his own highly successful marketing firm in Chicago in 2005. 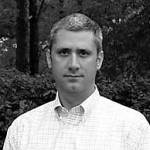 As a C-Level consultant he also acted as CMO for redroller.com and advantage.com. A graduate of the famed Kellogg School of Management, David charges into every task with a mind honed by years of experience and wide open to all possibilities. Dean Kraemer is an idea guy, marketing maharishi, award-winning writer, artist, and creative thinking enthusiast. Dean has spent over 25 years in advertising, promotion and marketing, in New York, Los Angeles, and parts in between working in all forms of media on a wide variety of businesses – from start-ups to blue chips, small businesses to huge corporations. He very quickly rose to senior management positions in some of New York City’s best and most creative agencies, then switched gears to entertainment marketing, ultimately creating award winning campaigns for Paramount, Sony, Fox, CBS, NBC and Disney. He was also the head of advertising for Atlantic Records and affiliated labels for a time, and at one point became the head of program development for one of the first interactive television companies funded by telecommunications giant TCI. He has written books, created television shows, written films and been an entrepreneur involved with several technology and entertainment start-ups. He loves new challenges. Over his many years of staying ahead of the curve and the competition he has come to the conclusion that in contemporary marketing engagement is everything. Dean is the winner of countless awards for his work, including Clios, Addys, Andys , recognition from two senators and a mayor as well as an award from USA Today for having the Best Commercial on a Superbowl. Karl Ottolini is truly a one-of-a-kind talent. We have been honored to work with him for 15 plus years. He brings a lot to the table. Over his thirty year career, Karl has served in executive leadership roles across a broad variety of industries including travel and leisure, transportation, insurance and manufacturing. Karl’s technical expertise includes statistical, economic/industry and financial analysis, forecasting, performance measurement and quantitative decision sciences. His travel industry experience includes Galileo International, one of the largest global travel distribution systems (GDS) in the world. 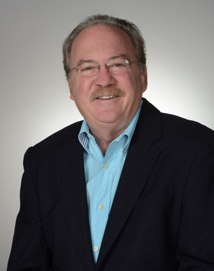 More recently, Karl served Budget Group as its Vice President, Financial Planning and Analysis, Advantage Rent a Car as Vice President, Revenue Management, and Alamo/National as senior vice president responsible for pricing, reservations and customer service. His academic credentials include a Bachelor of Science degree in industrial engineering and operations research from Purdue University, and a Master of Management degree in finance and marketing from Northwestern University. Karl is also an accomplished endurance athlete, having qualified for the USA Triathlon National Championships in each of the last four years. Karl and his wife Molly reside in Wilmette, Illinois. 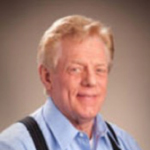 Whitten Pell is a very experienced executive who helps organizations optimize their budgets to gain maximum visibility and incremental revenue through lifestyle, licensing, sports and entertainment marketing. Whitten can uncover value not always apparent upfront in both the creative potential of a property and the various elements offered within it. He is a keen negotiator and can scrutinize a proposal or budget to extract hidden costs and identify uncertainties and potential risks. From SC Johnson, Nintendo, Kashi, The Dallas Symphony Orchestra and others, Whitten has worked with major global businesses, non-profits and government entities in the U.S. and internationally to pursue high profile lifestyle and entertainment licenses, venues, events and “A” list talent. He is meticulous and detailed oriented and that is the reason he project manages so many of our most important assignments. He has also worked on the talent side as a producer and marketing consultant to major entertainment acts like the Doobie Brothers, Linda Ronstadt and the Rolling Stones. Currently he advises Academy Award winning songwriter and Chairman and President of The ASCAP board of directors Paul Williams on marketing and promotion for his live appearances. He is the “go to” guy when all else fails. Whitten resides in Kansas City with his wife Nancy. Shona Nabity is a leader passionate about driving operational results and revenue by leveraging internal corporate culture and learning programs designed to deliver exceptional service levels. Spanning nearly two decades, her experience in the areas of strategic planning, quality improvement and people management have honed her ability to motivate and inspire teams towards a common goal. Beginning her career at retail, Shona quickly learned the power of ‘customer centered’ revenue generation. She was recruited by a leading consulting firm to develop customer service and sales programs for the car rental industry. 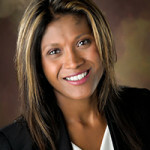 During her tenure, Shona served as the firm’s lead liaison for Budget Rent A Car, Thrifty Car Rental, Dollar Rent A Car, National Car Rental, and Hertz franchises. She developed programs designed for point of sale as well as call centers. Shona went on to work for Alamo Rent a Car and National Car Rental’s as a part of the senior operating management. For the past 8 years, as a Director for Advantage Rent A Car [Hertz ownwership], Shona led a team of facilitators and managers to achieve 35% of corporate revenue. Eventually Shona facilitated and deployed this initiative for Hertz Regional and European Sales Managers as well. Shona studied Business Administration at Arizona State University. She currently resides in Denver, Colorado. A creative strategist, problem solver and technologist, Jeremy Bass is well seasoned in creative thinking. With more than 20 years of experience in marketing, Jeremy joins our talented teams across the country to deliver comprehensive marketing services ranging from brand development to comprehensive digital marketing strategies. All of Jeremy’s offerings start with an understanding of clients’ business requirements and providing measurable solutions. By combining business knowledge with technology and proven methodologies, Jeremy delivers high-quality results in a cost-effective manner to maximize competitive advantage and productivity. Beginning his career winning awards for advertising excellence and interactive design, Jeremy founded Ntandem, a creative solutions company that develops quality creative work in all types of traditional and electronic media. His firm focused on assisting companies with the marketing and communication elements needed to build a business ready for future growth. His creative insight in balancing delivery of these services allow him to help clients realize their full potential. Jeremy has worked with companies in financial, medical, retail, entertainment and travel industries including Precept Golf, Viking Range, Kellogg’s, Coca-Cola, Bell South, SuperDrugs, Mississippi Band of Choctaw Indians, Pearl River Resort, Hard Rock Casino, BlueCross BlueShield(BCBS), Millsaps College, National Cotton Council of America, Merrill Lynch, and Advantage Rent A Car. Paul is an award-winning marketing professional with over 25-years experience in advertising, promotions, digital/mobile, direct and event marketing. One of the most well balanced and talented creative thinkers in the business, Paul’s strength is the strategically sound and creatively driven 360º thinking he brings to each client. 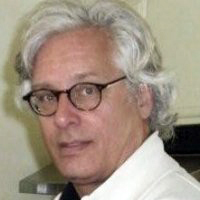 He has held creative positions with Leo Burnett, Young and Rubicam’s promotional arm, Wunderman, Foote, Cone and Belding and EMAK Worldwide. In addition, he has provided creative consulting for every major agency holding company including Interpublic Group, Omnicon, Publicis and WPP. Born and raised in Chicago, he is an advocate for community service for such organizations as Haven Youth and Family Services, The Wilmette Baseball Association, ParentsWork and TheCompadres.org. He is a graduate of Western Michigan University. In his spare time he enjoys spending time with his family, coaching youth sports, paying taxes and buying appliances. In Richard Walsh we have the honor of working side by side with one of the travel industry’s digital pioneers and a true Renaissance thinker. His story is unique. Following graduation from Western Michigan University, Richard spent a few years in sales in the retail world with Kraft Foods and Proctor & Gamble. His initial exposure to the travel industry came about when he took a sales position with TransWorld Airlines. He went on to work with British West Indies Airways and spent many years with Air France. He was hooked on the world of travel. This included going to flight school to learn how to fly. His travel industry career combines sales, marketing and management experience. But his true love was marketing so he naturally evolved and continued growing as marketing changed over the years. He grew his digital and mobile marketing experience since the beginning of the Internet in the early 1990’s. He also pursued additional formal education in marketing automation at Yale University. 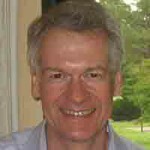 In addition to the airlines, Richard’s business experience includes executive management with a few travel companies widely recognized; Official Airline Guides [OAG], Reed Elsevier PLC [ABC], Wizcom [Avis] and Amadeus Global Distribution System. His experience with technology startups includes Innovata LLC, Air Charters LLC, Vizergy, Lodging Interactive and SuitePad GmbH. 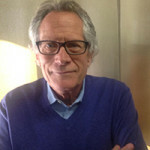 As Director of e-commerce for Air France, he was founder of the Computer Airline Sales & Marketing Association (CASMA) and assisted with the launch of HEDNA when the hotel industry wanted to replicate the airline association. Francis W. Purvey brings years of successes in tourism and hospitality management, sales and marketing focused on upscale and luxury resorts and destinations. Respected as an entrepreneurial innovator and keen marketer, he is a frequent speaker, panelist and educational contributor at industry events and trade shows, and is frequently quoted by trade publications. Key lifetime accomplishments include his role as Assistant Director of Tourism in Bermuda heading up such successful programs as Tall Ship Races, College Weeks, Off-Season promotions, travel, incentive and meetings industry sales, and award winning advertising campaigns. He was team leader in development and management of The Shores Resort & Spa, winner of the Web Marketing Association’s Web Award in Hotel & Lodging category and Visit Florida’s 2011 Flagler Award for Outstanding Web Site. He was the Director of Sales & Marketing for Radisson’s two luxury Caribbean resorts in Aruba & St Martin, and opened new $90 million resort on the French side of St Martin. In Florida Francis has also served at the executive level in Sales & Marketing at Boca Resorts’ Bahia Mar Beach Resort and the Radisson (now Marriott) Suite Resort on Sand Key. The Bahia Mar is best known as the home of the famed Fort Lauderdale Boat Show. Francis is a highly regarded leader in the Hospitality and Tourism industry.